Automation testing in a broader sense can be considered as the technique that uses automated applications to accelerate the development of software through its complete life cycle. It also improves the performance of the testing software, while adding value to the software. The automation tools under the testing writes and executes test cases. The drive for automation testing stems from the need for constant updates and upgrades in software and tools, attributed largely to proliferating usage of mobile phones and related technologies. The need for shortening delivery time for products and services while meeting well the various expectations of consumers is a key factor that has bolstered the demand for automation testing. With DevOps methodology gathering immense steam in an enterprise’s IT framework, the demand for automation testing will witness a robust impetus. DevOps is a framework that bridges the gap between the role of application development and systems operations teams in an organization. Automation testing seeks to up the return on investment (RoI). However, there are several factors that tend to cripple the demand dynamics of automation testing, the key of which are data privacy and protection mechanism. However, constant advances in technology used for test automation augurs well for the market. The testing is also witnessing usage in quality assurance applications. The advent of smart test platforms spanning several browsers help in expanding the lucrativeness of automation testing. These platforms are characterized by being self-adaptive so that they can support the testing through the entire application lifecycle. The focus to adopt agile methodologies of testing also augurs well for the automation testing market. The dynamically changing needs of software automation, especially for heterogeneous environments, will unlock lucrative options for providers of automation testing software. Automating processes to achieve greater efficiencies has been a long-standing trend among organizations who seek greater shares over their competitors. However, merely paying and adopting automation methods is not a full-proof plan in itself, as there will always be aspects that need regular testing. This need is a result of consistent updates in interconnected software, tools, and technologies, which organizations adopt overtime to achieve greater customer satisfaction, product quality, and successful deployment of services within short periods of time. And, this need has been stoking the demand in the global automation testing market, which has been projected to expand at a robust growth rate during the forecast period of 2017 to 2025. This automation testing market report is a comprehensive and figurative assessment of each and every segment that will be fruitful for the stockholders over the course of next ten years. 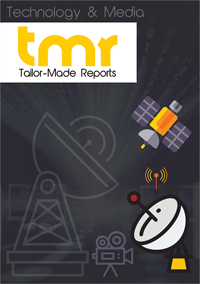 Prepared by a group of technology market research analysts, the report aspires to aid as a business tool for its targeted audiences such as automation testing tool providers, test organizations, managed service providers (MSPs), quality assurance (QA) providers, consultancy firms, software developers, and governments. The report provides in-depth analysis of all drivers, restraints, and opportunities of the automation testing market, gauges the substantiality of the demand that will be coming from every important region and country, and profiles some of the leading companies of the testing industry to provide insights on the competitive landscape. The radical manner in which smartphones and other interconnected devices have gone ubiquitous is the primary driver of the market for automation testing. Organizations are inclining towards intelligent automated methods and are depending on smart analytics to take critical decisions and counter business challenges better. The adoption of DevOps methodologies and agile software has mounted in the recent past as organizations aspire for complete application lifecycle and a framework that is commercially viable. Increasing return on investment (RoI) has been noticed and the market for automation testing is feeding off it. On the other hand, the concerns pertaining to data security and privacy, strong lack of skilled and experienced professionals to work with advanced tools, and the need for selection and management of testing tools are some of the factors obstructing the automation testing market from attaining a higher growth rate. Advancement in technologies has paved way to smart test platforms that can observe and adapt on their own, and support multiple operating systems including Mac, Windows, and Linux as well as different browsers such as Firefox, Chrome, Internet Explorer, and Headless browsers. Scripts are now being written in different programming languages such as Python, Java, Ruby, PHP, and Perl, and testers are welcoming the flexibility to write complex scripts. Based on testing type, the market for automation testing can be segmented into non-functional testing and functional testing. Testing type bifurcation of the market can be done into API testing, usability testing, compliance testing, compatibility testing, and security testing. Services categorization of the market can be into support and maintenance, planning and development, advisory and consulting, documentation and training, and others such as framework services, RoI analysis services, and assessment services. Although there are a number of players venturing in this market, considerable chunk of shares remain consolidated within a handful of International players such as Capgemini, IBM, Microsoft, CA Technologies, Tricentis, Micro Focus, SmartBear Software, Cigniti Technologies, Parasoft, Ranorex, and TestPlant. These companies are focused on partnerships, collaborations, and agreements to hold onto their position of strength.